Below are short descriptions of our programs at Smash. Every class is taught by expert, professional instructors and trainers. Members receive top quality instruction while getting in the best shape of your life. 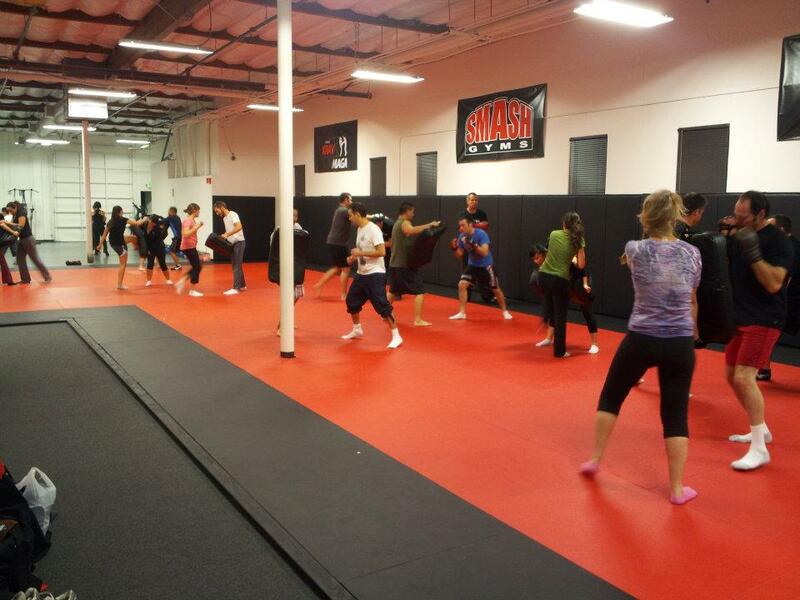 The Smash Gyms Jiu-jitsu program includes a systematic blend of Brazilian Jiu-jitsu, Wrestling, and Judo into a complete grappling system that will safely progress beginners at an accelerated pace. Our system is designed as a path for the average person to progress safely and quickly into an expert grappler. The system has proven to be highly effective in both self-defense and Brazilian Jiu-jitsu sport competition. 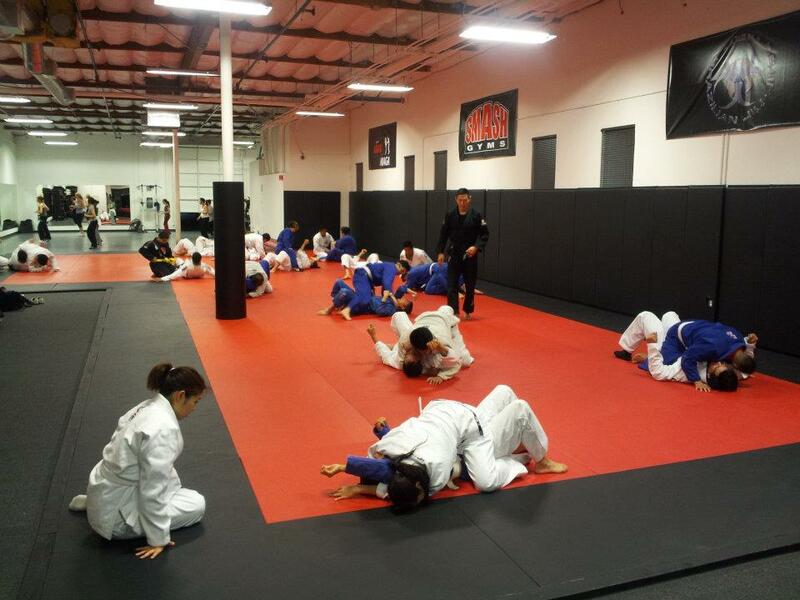 You will find our unique Jiu-jitsu classes are presented in a format highly conducive to learning while maintaining a strong focus on safety. All the evening classes are taught by Michael Jen who is 3rd degree BJJ Blackbelt and widely recognized as one of the most technical and most experienced BJJ instructors in the U.S. Classes typically include a full hour of technique, drilling and instruction followed by a half hour of structured sparring under the supervision of the instructors. Open mat follows nightly. No boring machines or wandering around a gym trying to get motivated! Learn a real skill in every class while you workout! This will keep you mentally stimulated and motivated! 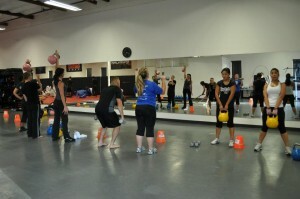 Our SmashFit program is dedicated to making your workouts diverse, fun, unique and effective. Our World-Class Instructors and Trainers help people of all fitness levels and age groups reach their fitness goals. You will get top quality instruction while getting in the best shape of your life. SmashFit allows you to choose from a unique variety of classes and workouts throughout the week so you will never get bored. Your new training schedule will include Kettlebell training, Kickboxing, Bootcamp, Zumba, Krav Maga and more! You will learn from expert instructors in every class. 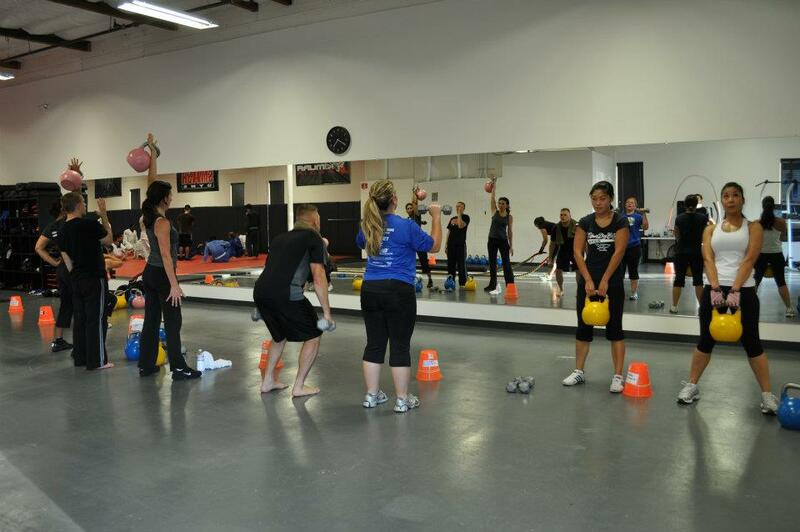 Every class is a group personal training session! SmashFit instantly gives you all the tools you need to be successful in reaching your fitness goals and improve functional strength. With SmashFit comes an instant support system of workout partners and instructors ready to help you improve. Every class is like a private lesson! The Smash Gyms Self-Defense System is a unique program designed to quickly teach every student the skills and knowledge to effectively protect oneself. This beginner friendly system will quickly allow students become proficient the intricacies of all aspects of personal protection regardless of gender, experience, size, strength, or fitness level. Single attacker or multiple? Weapons or empty hands? Standing or on the ground? Striking or grappling? True self-defense situations are unpredictable cannot be defined by a single scenario. With this in mind, the Smash Gyms Self-Defense System incorporates and combines different martial arts that have consistently proven to be the most successful in realistic conditions. By tapping into the deep knowledge of multiple experts who have spent their lives specializing in specific forms and ranges of combat, students can be assured they are learning the most effect techniques and training methods that can be adapted for any situation. In addition, students will learn to handle the stress and pressure of a sudden, violent encounter in a safe and progressive manner. No previous training is necessary and anyone can learn this deadly system! Simple and highly effective system that focuses on simple and practical techniques designed to keep you safe in any self-defense situation. Classes are designed to improve you physical fitness, awareness and technique. Krav Maga is the official self-defense system of the Israeli Defense Forces (IDF), Israeli Anti-terrorist Units, and various branches of the Israeli Security Forces. Krav Maga was developed in Israel, under realistic battlefield and street conditions. This comprehensive system of martial arts has recently been adopted by and taught to many law enforcement and military organizations, including the US Air Marshals, F.B.I., C.I.A, D.E.A., U.S. Secret Service, and numerous Police Departments. 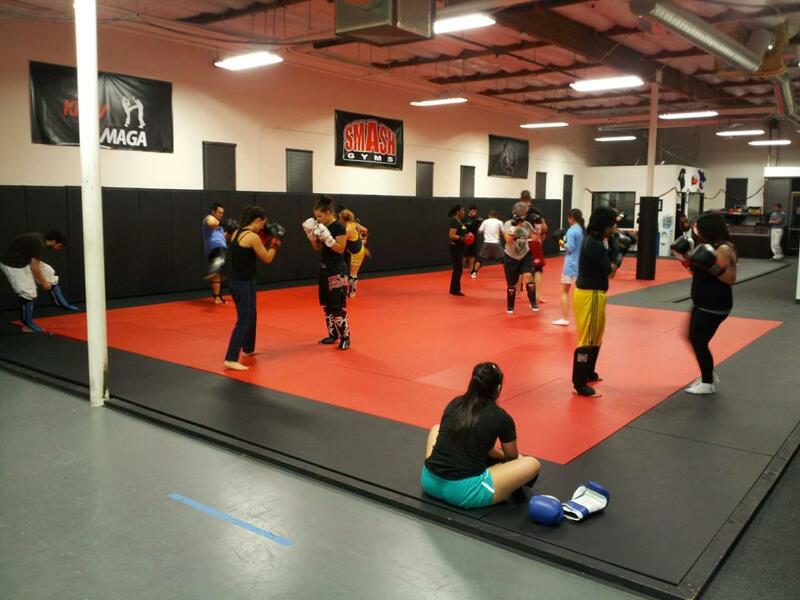 Our kickboxing program will help you get fit, have fun, and learn kickboxing! Whether you are a beginner or an expert, our experienced instructors will make sure you get a great workout in addition to improving your technique. You will be challenged by structured yet fun kickboxing and strength and conditioning routines in a safe and encouraging environment. We welcome all fitness and skill levels. All of our Kickboxing classes use pads and mitts giving you a more satisfying and fun workout. Hitting the pads improves your muscle tone and your cardio endurance, not to mention in 1 hour it burns up to 1200 calories – nothing else comes close. Our kickboxing staff are very experienced and have acquired the best techniques from Muy Thai, San Shou, Shotokan Karate, and MMA. Our years of experience through training, competing and teaching in kickboxing and other combat sports can now be handed to you in a safe and supportive environment. Try it free! The Smash Gyms Kids Martial Arts Program can and WILL help your child increase their confidence, self-esteem, discipline, while teaching them life skills that will last them a lifetime! In our program your child will be able to progress at their very own pace. We understand that everyone learns differently. Whether your child can only train once a week or everyday we have the program that will fit your needs. With a strong focus on coordination and overall fitness our kids curriculum includes a systematic blend of Jiu-jitsu, Wrestling, and Judo into a complete grappling system. Our kids class curriculum was designed by Brazilian Jiu-Jitsu black belts, Judo black belts, College Wrestlers, and self-defense experts. Our system is designed as a path for the average child to progress safely and quickly. The system has proven to be highly effective in both self-defense and Brazilian Jiu-jitsu sport competition. You will find our unique classes are presented in a format highly conducive to learning while maintaining a strong focus on safety. Our program will teach you all the details on advanced and basic lifts and techniques. 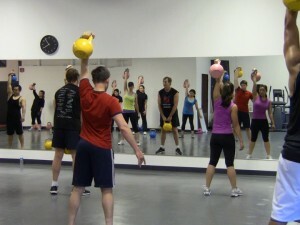 Our kettlebell classes have a strong focus on proper body mechanics and real Russian kettlebell techniques. Anyone can join this beginner friendly class! 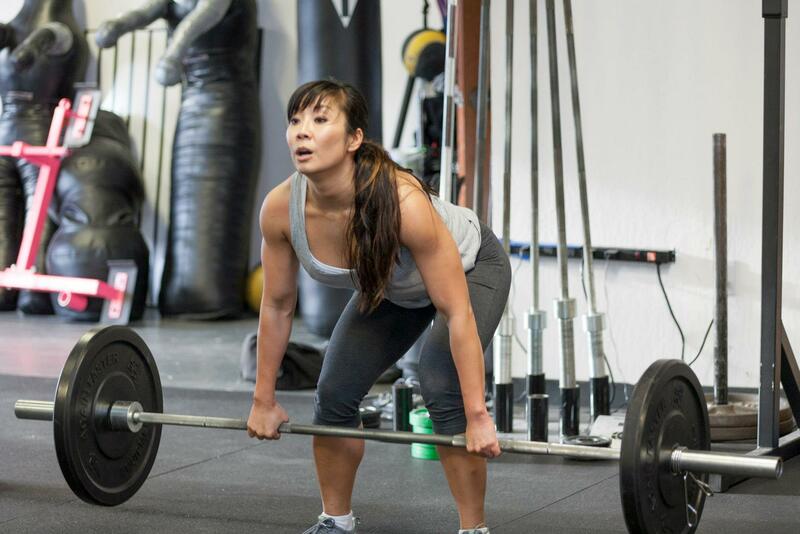 All classes are taught by by CrossFit certified instructors and personal training veterans. Every class is like a personal training session. The Smash Gyms Strength and Conditioning Program is for those individuals with goals to reach their personal maximum fitness potential. While maintaining a strong focus on safety, this beginner friendly program will teach you how to train like a professional athlete in a fun and supportive environment. The program was designed to teach members proper strength and conditioning techniques and principles while pushing them physically and mentally. Our certified, professional instructors will teach you proper body mechanics to help you safely reach a new physical fitness level. You will build amazing conditioning and increase your functional strength to a level you never thought possible. The Smash Strength and Conditioning Program is serious about fitness, safety and fun. Beginner Friendly Fitness and Self-Defense for Milpitas, Santa Clara, San Jose, Sunnyvale, and Mountain View! Have fun and get amazing results!